Like most cars rolled out since the mid 2000s, newer Chrysler vehicles come with electronically programmed keys unique to each vehicle. 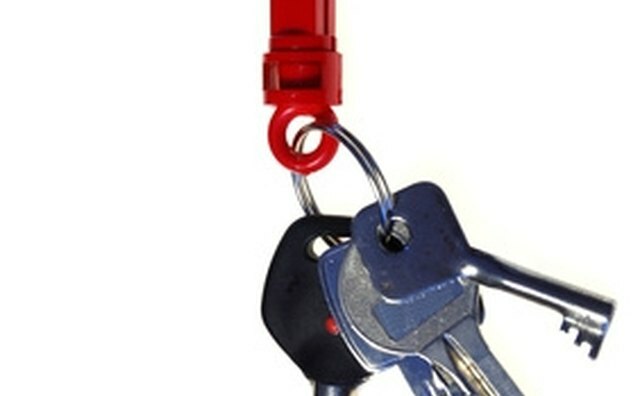 They are generically called "transponder keys," although Chrysler refers to the package as the "Sentry Key Immobilizer System." It adds another layer of security to the older method of cutting key blanks to match a set of lock tumblers in a car's ignition. Attempting to start a car with invalid transponder keys will result in 2 seconds of operation before automatic shutdown. 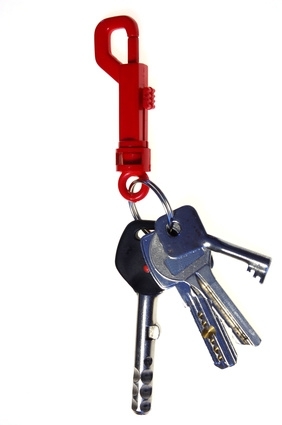 Cut key blank(s) to match existing transponder keys. This can be done at many hardware stores and auto dealerships. Insert programmed transponder key into ignition switch and turn car to "On" position. Leave car "On" for 3 to 15 seconds, then turn "Off" and remove key. Insert second programmed transponder key into ignition and turn "On" within 15 seconds of removing first key. After 10 seconds, the yellow "theft alarm light" should begin to flash. Turn ignition "Off" and remove key. Note that If the indicator light does not flash, either the system is damaged or the keys already match the vehicle and attempts to program new keys will be unsuccessful. Insert blank transponder key into ignition and turn "ON" within 60 seconds of removing already programmed transponder key. After 10 seconds, a ding will sound, indicating a successful programming. The instrument-panel security light also will turn on for 3 seconds then off. A new sentry key has been programmed. Repeat steps 1 through 4 for a total of up to 8 keys. Both dealer transponder keys must be present at time of programming or any attempts to program future keys will be unsuccessful. In the event of a lost or stolen key, contact a certified Chrysler dealer, who can erase remaining keys and initiate a new program sequence. These steps are for 2007 models; consult your vehicle's owner's manual before attempting to program new keys. Attempts to add after-market remote start devices to cars that use transponder keys can result in damage to the starting sequence and computer malfunction.